Often you have external dynamic information that you want to show in an info-beamer visualization. Since info-beamer itself doesn't provide an API to (for example) use HTTP you might wonder how to do this. info-beamer makes this very easy. It's also language agnostic. So you can use the language of your choice to fetch information and then make it available to info-beamer. 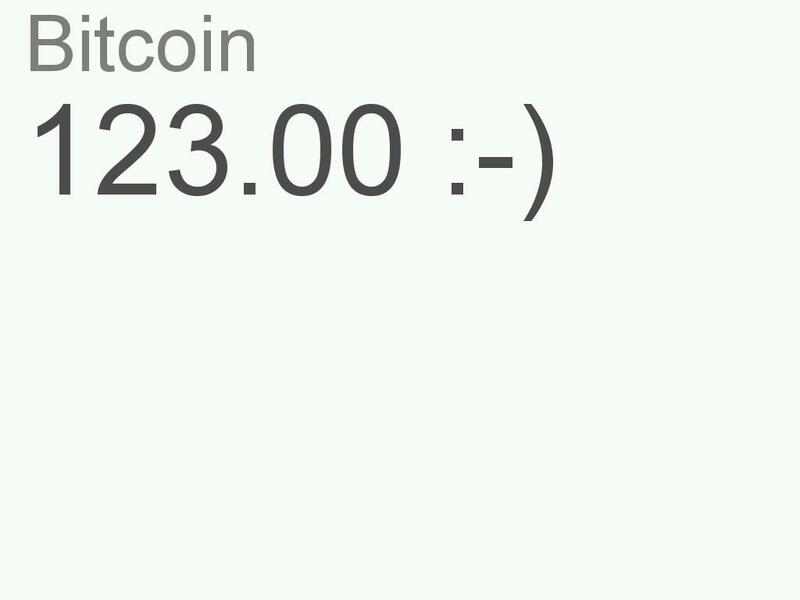 Here's a pretty basic bitcoin ticker that shows how to do this. info-beamer was designed with external scripting in mind. Lua, the programming language that info-beamer uses for its scripting interface, is surprisingly powerful once you get used to it. It's also one of the fastest scripting languages available right now. So it's a perfect match for info-beamer. You can write into files in the directory of a running visualization: info-beamer instantly detects changed files and allows you to react to those changes. So you might write a JSON file in your program which info-beamer then instantly notices and loads.  See the function util.file_watch to learn more about this. You can connect using TCP to info-beamer and send data to a running visualization. This way of communicating with info-beamer also allows a running visualization to export data to an external program. There's going to be a blog post about this in the future. You can send data using UDP. This way of communicating is recommended if you have lots of small updates that you want to send to your visualization. In the first line the visualization resolution is set to 1024x768 and the bundled json parser as well as the font file font.ttf is loaded. Just download any Truetype font file and place it in the current directory. I used Arial.ttf and renamed it to font.ttf. The currencies variable contains a list of exchange rates for different currencies. Since we don't know these values yet we'll initialize it to an empty list for now. This list will later be updated by an external program.  The node.alias function sets the node alias name to bitcoin. Normally the name of a node is its directory name. Using node.alias allows you to set an alias that is independant of the directory name. External programs can address nodes using either of those names. By setting the alias bitcoin, external programs can now be sure that they reach this node when sending data to bitcoin. This handler will be called with the data as first argument. In this example the handler just parses this data as JSON and updates the variable currencies. The remaining code in node.render is doing the visualization: It clears the screen, writes Bitcoin in large friendly letters and then iterates over the list of currencies and displays their value. This program uses the awesome requests library for python to do HTTP requests. 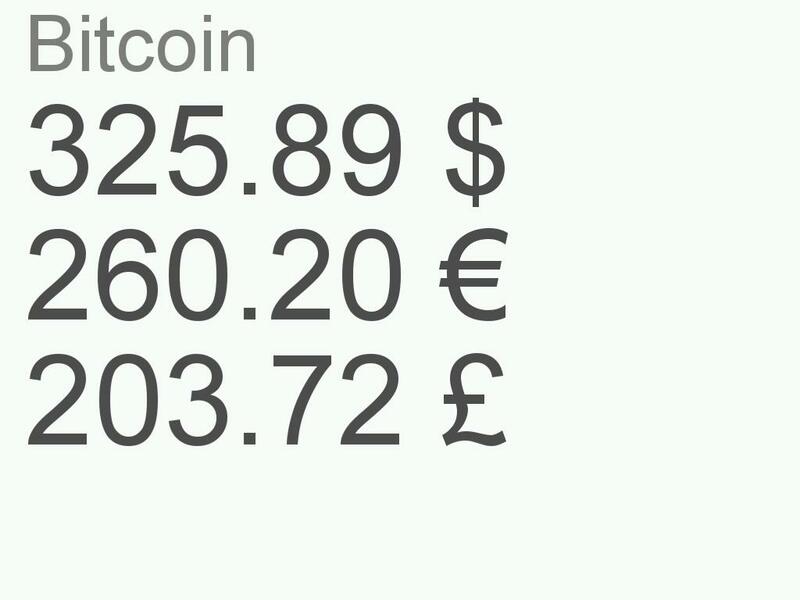 It gets the current bitcoin exchange rates from the bitcoin.info API. It gets the currencies to display (as defined in DISPLAY_CURRENCIES) from the returned value of the bitcoin.info API and creates the list that the info-beamer visualization needs. I hope that this posting explained the basics of sending data to a running info-beamer visualization. Using external programs is the proper way to get dynamic data into your visualizations. Use the programming language you like the most to fetch and enrich data and send it to info-beamer. Not only can you use any library and language you're already familiar with - it also decouples the visualization part from the potentially more complex data enrichment part. To see more examples on how to use external data, have a look at this visualization from a conference, a remote controlled slideshow or an example on how to synchronize two info-beamer nodes.